looking at life just as I see it- no cream, no sugar. Ever since I was a kid I always had something to say or some opinion to express. So I’m thankful to live in a world where putting thoughts and ideas out there is as easy as it is. Whether any one actually reads it or listens to it is another question. No matter. This is more about me being able to simply log thoughts and ideas that I can’t escape. 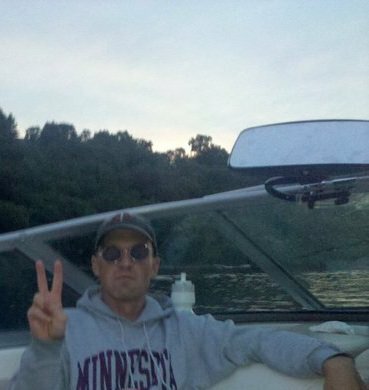 My name is Paul Baudhuin, and I am a born and bred South Minneapolis boy, who goes out of his way to make a trip around Lake Harriet en route to his destination. I’ve been working in churches since 1997 when I sort of stumbled into Youth Ministry. After a matter of years I began to realize that church work is probably what I’ll be doing for the rest of my life. I served as a Youth Director/Pastor in three churches before seeking and ultimately receiving credentials to be a Licensed Local Pastor in the Minnesota Annual Conference of the United Methodist Church. In 2010, I was blessed to be appointed as the Associate Pastor at Rosemount United Methodist Church in Rosemount, MN. I love what I do and who I get to do it with. I’m married to the most enduring, patient, and beautiful woman I know. And together we’ve got three kids who exhaust me and excite me all at once. I’m a avid Twins fan and a faithful Minnesota sports fan, as painful as it is most of the time. I’m really just a guy with something to say, trying to find his way in the world in the rhythm of Jesus. I don’t always do it well, but sometimes I do. If in the end, my wife and kids know that I love them, feel that I have loved them well, and know the unending love of God, I think I will have done ok.
Hey Former Barton Student in my classroom, it was great to read your essay on Ode to a Cheetah. I finally figured out you are: Paul Baudhuin! (Your current photo was of no help!) You know, being a teacher at Barton was the best. We all considered Barton more of our personal baby to be created, nurtured, enriched, and perfected. Your Ode touched me, as you captured what we all hoped Barton would be for its students. Thank you, you validated our greatest wishes. Chris! So amazing to hear from you. This week has been amazing as former classmates and teachers have come out of the woodwork sharing photos and memories though the Facebook group that Denise started. Looking back on it, I can see now how intentional you all were in creating not just a school but a community- a community that still exists today. And you should know that my two years in your class (5th and 6th grade, ’84-’85 and ’85-’86) were truly formational for me. You had a profound impact on my life that I still think about and am grateful for today. So great to hear from you. Sorry the pic was of no help, but I’m glad you dug a little deep to find me! peace. Hello Paul, Lee Fabels sent me the link to your Ode to a Cheetah. Said it brought tears to his eyes. He and Mary Ann are vacationing in Mexico this month. We hope to meet up in March in Naples, Fl. Wondering just who wrote the piece that so touched him and brought on what you call a”meltdown” for me (I too have suffered from depression but relief with medication), I clicked on about me and found Chris Jaglo’s message. As always she is right on – you captured a moment of time that was golden for a lot us. I have been retired since 2003 and now live back in the south in Jackson, TN Frequent visitors have been the Fabels and Jaglos and we have traveled the world together. We wanted to change the world and managed to do so in many small ways for all of us involved. WhAt a blessing to have gotten to teach at Barton with great kids,parents and teachers. Hey, thanks Margaret! Great to hear from you and encouraging to hear people enjoy the Ode. I also love knowing that you all stay in touch. It was evident that the team approach at Barton stemmed from an authentic like of one another and a truly unified vision for what could be… and what could be indeed was. Ya’ll changed a lot of lives for the better. Peace!